Today's card features some new stamps from Great Impressions. Isn't this hot air balloon fun? H256 Up and Away . I colored this stamp with copics and neatly trimmed it out to pop it up on foam dots. I used a cloud stencil to create the background. 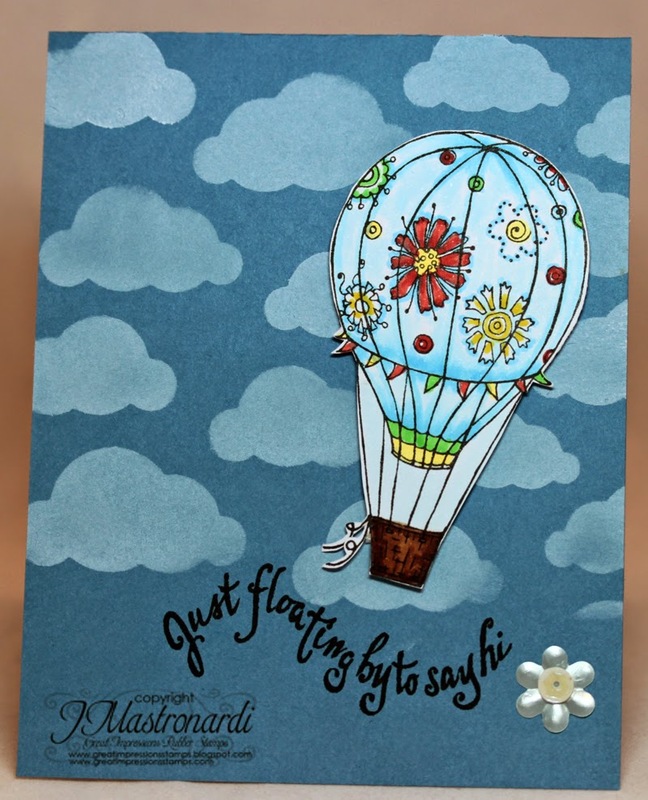 Then I added the sentiment E648 Just Floating below the balloon so it looks like it is floating by. Joni I love this! Beautiful sky for your gorgeous balloon!